HomeArchive by Category "General News"
In observance of Independence Day, our libraries will be CLOSED tomorrow, Friday July 3 and Saturday, July 4th. For hours at any time, please see the library website. The Math Department hosts multiple seminars and colloquia throughout the semester. 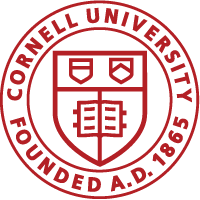 See the latest happenings at this link here: http://www.math.cornell.edu/Colloquia/bulletin.html There’s even a few events to attend today!